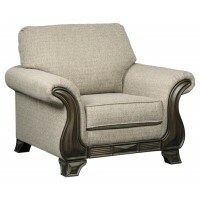 Bring back a sense of tradition flair with this richly neutral chair. 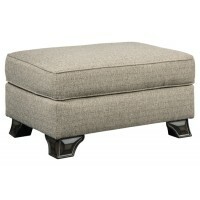 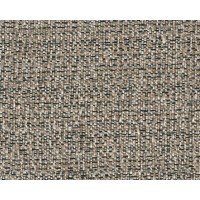 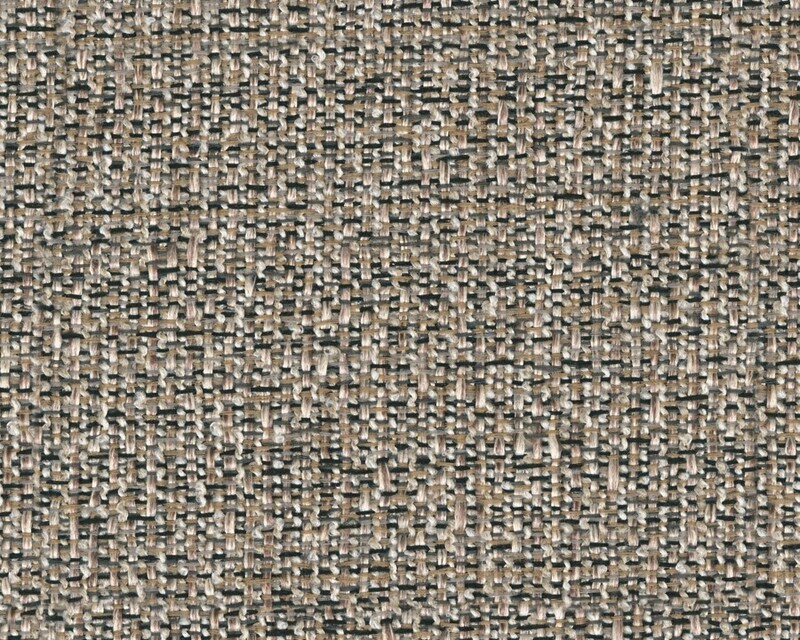 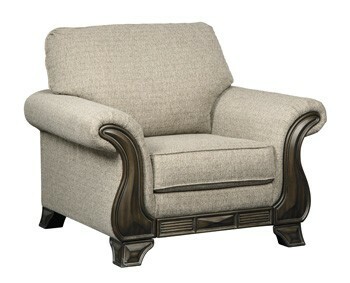 Textural tan upholstery simply goes with everything. 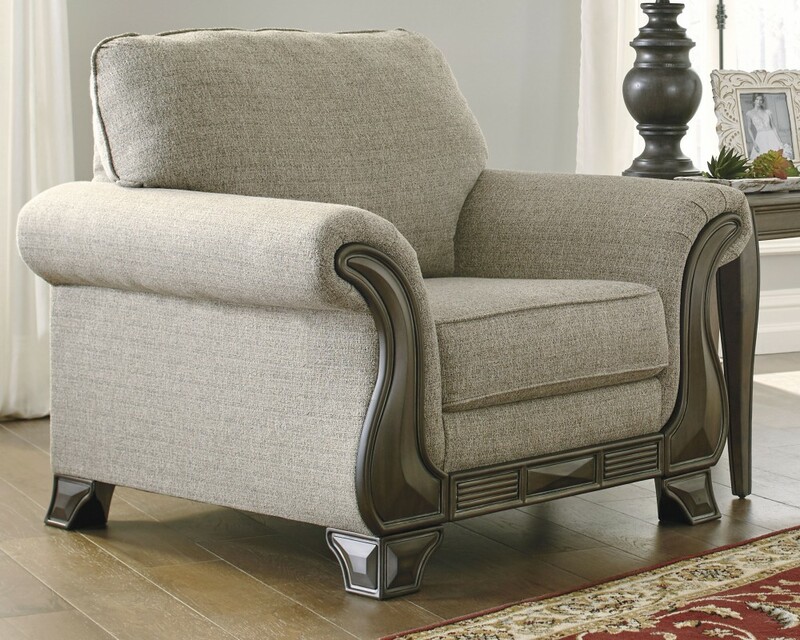 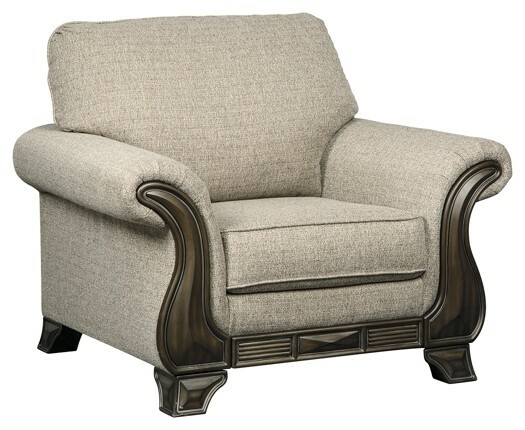 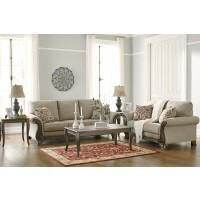 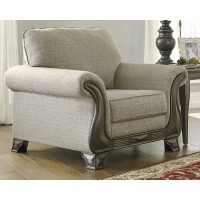 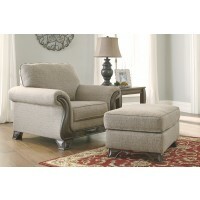 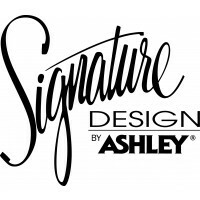 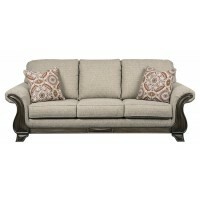 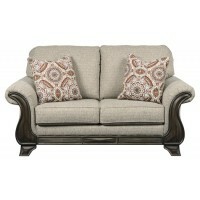 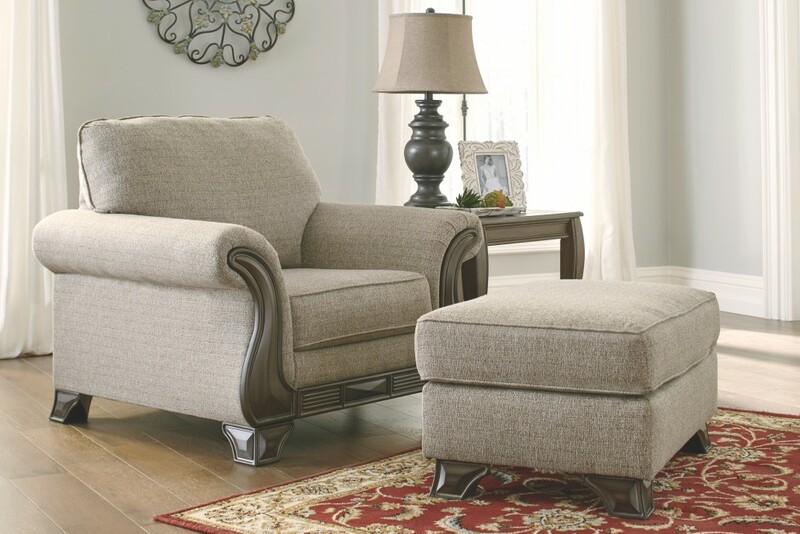 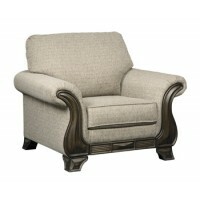 Flared arms with decorative chair rails in a walnut-tone finish merge modern comfort with a touch of yesteryear charm.